The travel experience is more mobile than ever. 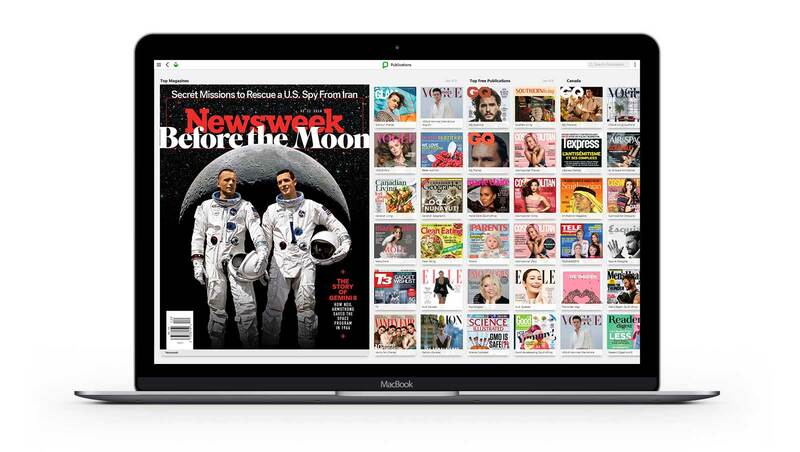 With PressReader, your airline can offer passengers the best publications on their own device. 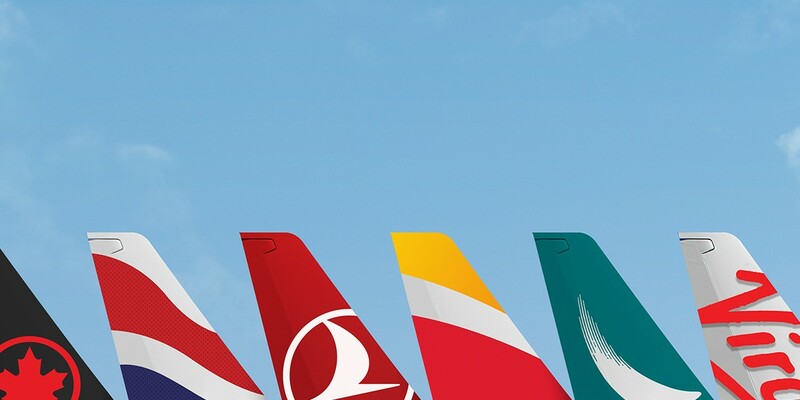 Your passengers want choices when they fly. They want a great selection of entertainment, popular magazines to browse, and trusted newspapers to keep their minds engaged. With over 7,000 publications from 120 countries in more than 60 languages, there’s something on PressReader for every type of traveler. Major newspapers like The Washington Post, The Guardian, and El Pais, stand beside top magazines like Bloomberg Businessweek, Fast Company, Vogue and Rolling Stone. Every time your passengers fly with you, they can download their favorites to read on the way to the airport, in the lounge or in-flight. Great technology can help you improve your passenger experience: more personalization, simpler booking processes, awesome apps, and thoughtful surprises at every touchpoint. 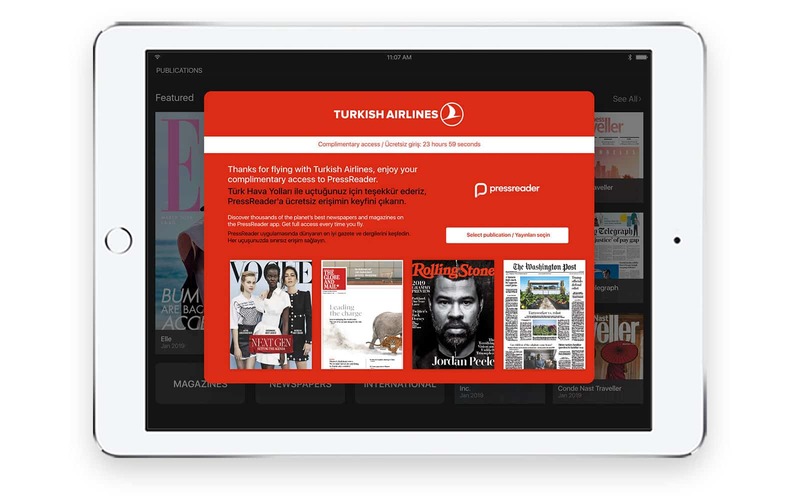 PressReader helps airlines level up their game by providing many ways for passengers to get access to great content -- in lounges, in apps, through email, check-in websites and more. Take advantage of our customized in-app welcome message and subtle branding opportunities. Plus, deliver your own publications at scale through the PressReader platform. Feature them in the carousel next to other titles you know your customers love. Your passenger’s mobile device is their hub for entertainment and other travel deals. Use it. 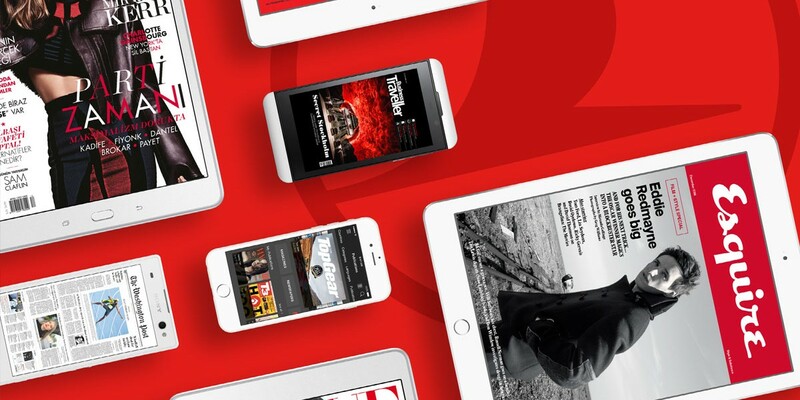 Major carriers like Cathay Pacific and Iberia Airlines have been pioneers in this space, adding PressReader to their app experience and investing in their mobile news and entertainment offering. With our app SDK, we simply and seamlessly integrate with apps of any kind and provide passengers with a beautifully designed interface and an easy, mobile-first, reading experience. We are committed to enhancing our customers’ travel experience at every stage of their journey with us. 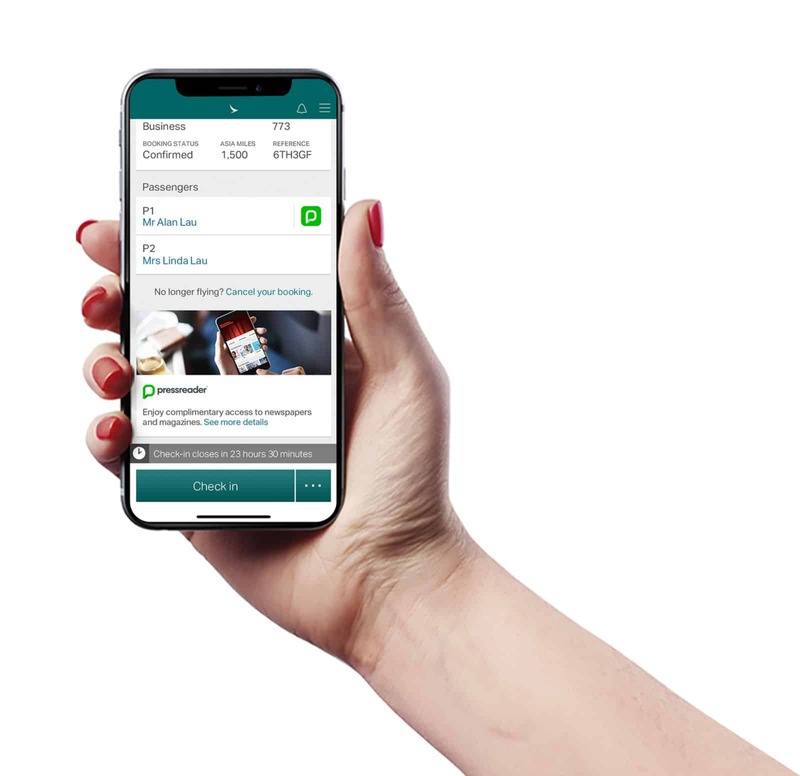 Partnering with PressReader is an investment that strengthens our news and entertainment offerings and allows our customers to stay connected to the stories they care about when they travel. In a competitive industry where margins matter a lot, offering great in-flight entertainment isn't always straightforward. PressReader helps you streamline the logistical complexity that comes with managing print, while simultaneously serving an increasingly diverse passenger base. No more worrying about delivering yesterday's paper on long-haul routes. 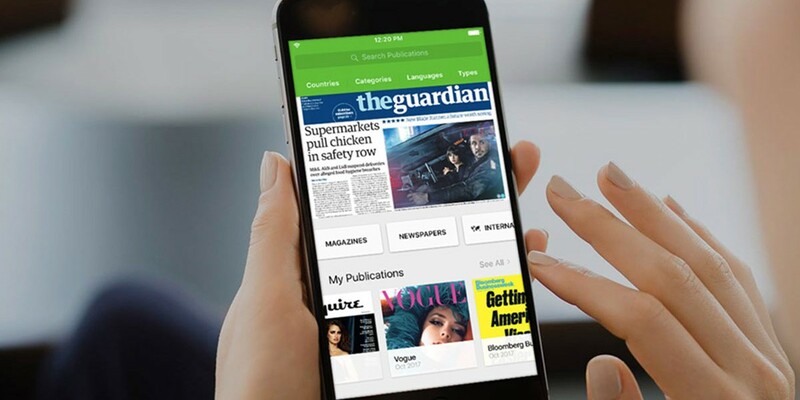 With PressReader, you can offer your passengers the content they want, as soon as it hit the newsstands -- no matter where they're from. For airlines, rolling out a new service to millions of passengers and a global lounge network all at once can be a challenge. Luckily, it's not our first rodeo. Our solutions scale easily, giving all of your passengers access to great content in a matter of minutes. PressReader connects seamlessly with all of your customer-facing platforms, like your app and website, and integrates easily with other marketing channels like email and messaging. We offer tokens, APIs, and ready-made SDKs so that it's easy to set up PressReader, no matter how you want to do it. Our platform intelligently displays the most relevant content to users in each region. You can also feature certain titles that you think your passengers will love. We'll provide you anonymized reporting about what people are reading, so you can learn more about who your passengers are and what they're interested in. You'll probably be surprised by the diversity of content your passengers dig into. What's more, we've found that top publications are never the same month-over-month, illustrating the value of offering a wide selection of high-quality content. As if we didn’t already know that.